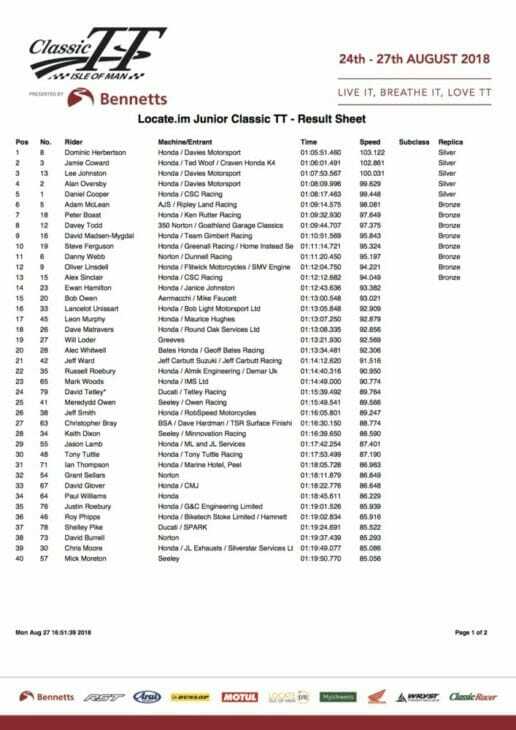 2018 Classic Junior TT Race Result—Dom ‘the bomb’ Herbertson clinched his first Mountain Course win with victory in today’s Locate.im Junior Classic TT Race at the 2018 Isle of Man Classic TT Races presented by Bennetts. 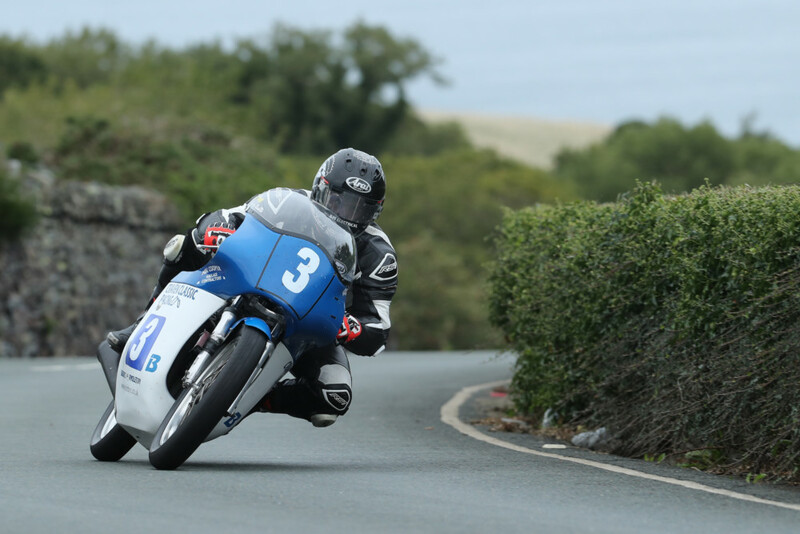 Herbertson was ecstatic to get a maiden Classic TT win. 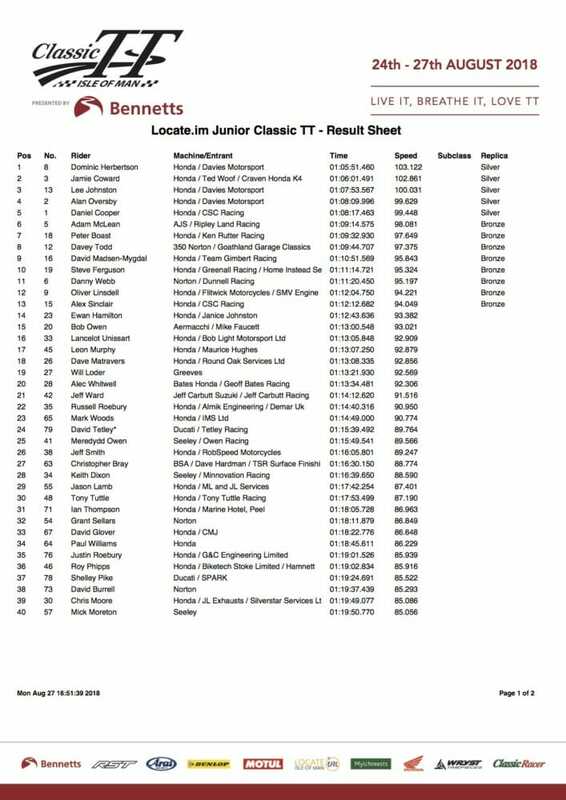 After a disrupted qualifying week, it was difficult to assess form and machinery in the Junior class but Jamie Coward, on the Ted Woof/ Craven Honda topped the qualifying board from Herbertson – the pair were the only ones to post 100mph+ laps. 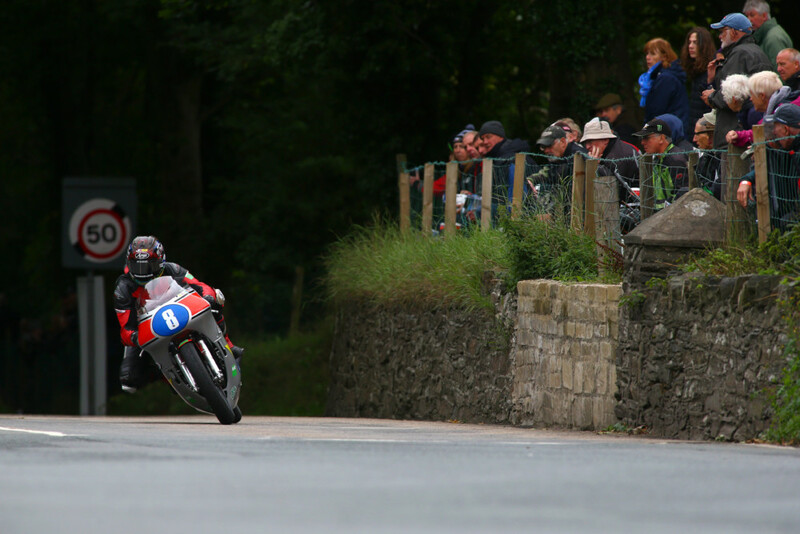 Ripley Land Racing Honda rider Michael Rutter and Herbertson’s teammate Alan Oversby were the third and fourth fastest qualifiers with a single qualifying lap each.With the race cut to three laps from four due to the earlier delay, the single cylinder 350cc machines were all expected to complete the race without the need to refuel and a straight ‘gun to tape’ battle was anticipated. 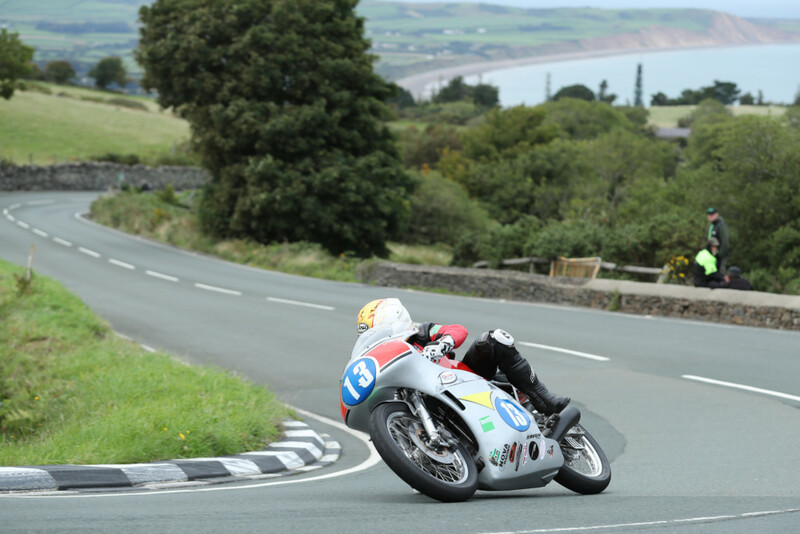 Jamie Coward at the Gooseneck during the Junior Classic TT Race. At the front of the field, Rutter had extended his lead at the front of the field to over four seconds from Coward by Ramsey while Lee Johnston, who finished runner up to Rutter on a Black Eagle Racing MV Agusta in 2017, moved into the top five ahead of his teammate Oversby. Lee Johnston bagged another podium to go with his Lightweight finish earlier in the Classic TT week. Jeff Ward (not AMA MX legend Jeff Ward), who finished 21st, received the Phil Read trophy for the highest placed 250cc machine in the race.